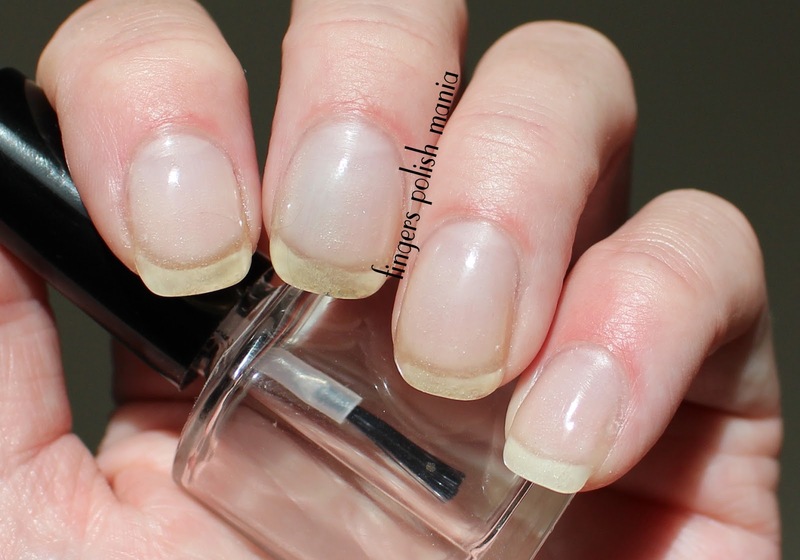 Yes people, today I will be showing you my new nails using the clear gel powder I got from Oceans of Beauty. 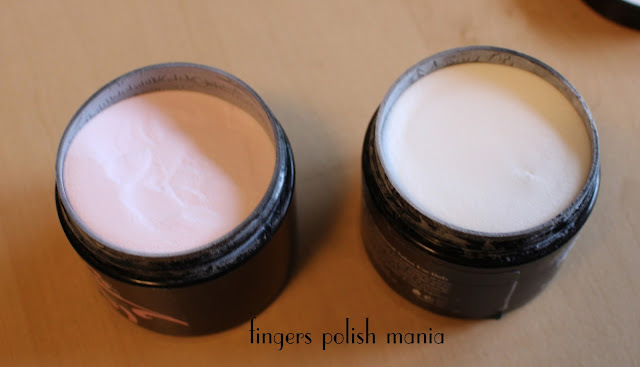 I normally use the light pink powder, no real reason why, it's just what I did when I got the NexGen done in the salon. When I watched the YouTube video they say to do three dips using the clear as it is thinner when activated. I normally do two dips with the pink. If you aren't aware, all the colors start as clear with the color pigment added. That's why they are thicker when activated. Here is a picture of the two so you can see the difference. The pink is on the left. They really are very similar. First, I took off my polish then used my buffer block to remove some of the thickness of the gel on my nails. I did what Diana at the NexGen salon does to soak it off. I got a bowl of acetone placed it in a bowl of hot water to heat up the acetone and put a couple of cotton balls in it. You then soak and use the cotton balls to scrub the gel off. It really works great! This time it took me ten minutes to remove all the gel. I lightly buffed my natural nails, used acetone to make sure the surface was nice and clean and then followed the directions that come with the gel powder. Here is what I have learned so far. The first time, I was trying so hard to do light layers that I didn't get a smooth even gel layer. I also had some lifting which is most likely my fault as I was using acetone to clean the cuticle area after polishing. This time, I was more focused on getting the structure liquid over the entire nail and used a bit more than last time. I also did do three dips of the clear gel. Here is what it looked like when I had finished. Oh this time, I was from soak off to done in a little over an hour. Way better than the three hours it took me the first time! I did not use any tips this time as my nails have grown out. Now because this is clear, it shows the splits in my nails that have polish in them. 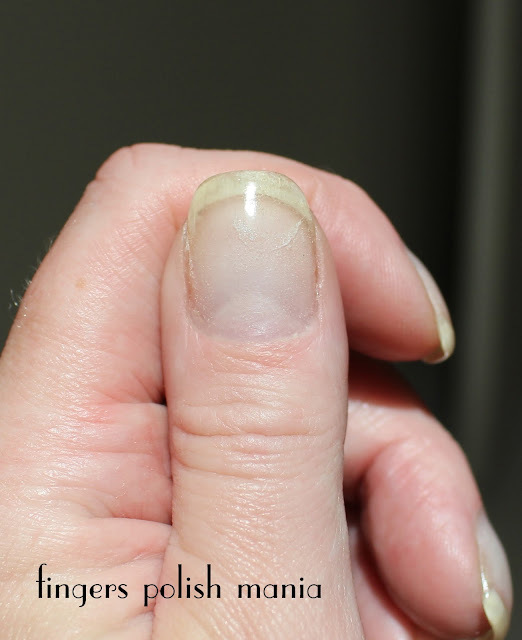 I also once again covered my cuticle area, which in the next post, you will see how that shows up. My nails are quite long for me here, that's why I did do three dips. In hindsight, it looks very thick on the nail. Here is a side view. This doesn't look too thick here, but when you add seven layers of polish it is insanely thick. I can't say whether I prefer the pink or the clear. So far, they both have performed perfectly. Next time though, I am only going to do two layers of this clear, or two thin layers of the pink and buff the pink down to thin it a bit. I am horribly rough on my nails, so I need the thickness to keep them from breaking. This is a bit too much though. I was more careful when I dipped this time. Last time I had ridges and bumps in the finished gel. This time I waited a second before dipping again using a bit more of the liquid first and I only messed up one nail. My thumb. After this was dipped, I had dented or moved the gel sort of like you dent your polish. I carefully tapped it down into place. You can see it left a half moon swipe in the gel. I don't care as you know I am covering this up with polish anyway. I don't think I could do a real color powder and make it look good yet. I am happy with how this came out. 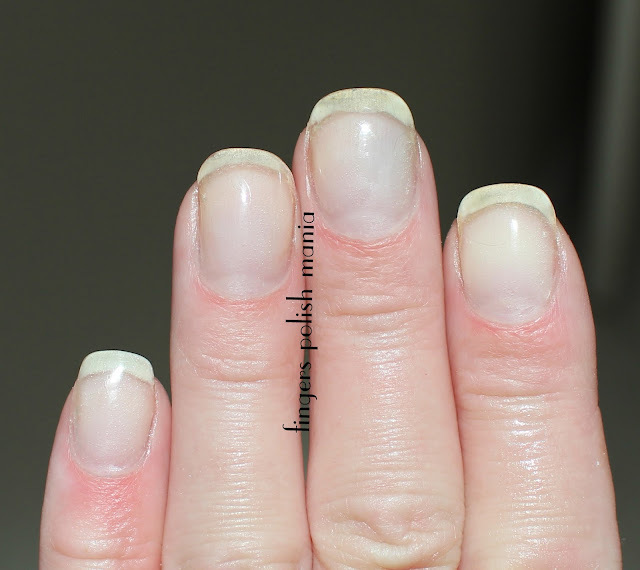 My nails are long and I am loving doing the EZ Dip gel at home. So far it's been two weeks in between doing a new set. Do you have any questions for me? Don't forget my discount code at Oceans of Beauty for 20% off your purchase. Use FPM20 at the checkout.